This afternoon, we were privileged to see the new film DENIAL by Director Mick Jackson (THE BODYGUARD, TEMPLE GRANDIN), starring Rachel Weisz as Deborah Lipstadt, Tom Wilkinson, as her barrister, Richard Rampton, Timothy Spall as David Irving, and Andrew Scott as Anthony Julius, Ms. Lipstadt’s solicitor. I could not disagree more. This is a riveting and beautifully done recounting of Deborah Lipstadt’s effort to defend herself against the libel action launched by David Irving whom she described in her 1994 Book Denying the Holocaust as a Hitler defender and Holocaust denier. 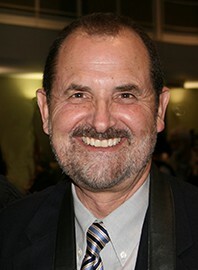 Emotional scenes abound: Lipstadt’s engagements with her team of lawyers who believed that the center of the case had to be not a proof of the reality of the Holocaust but an attack on Irving’s historiography; Lipstadt’s agonizing encounter with a Holocaust survivor who felt that survivors’ testimony deserved a place in the trial while Lipstadt’s lawyers believed that this would only provide an opening for Irvings’ easy abuse of them as gold diggers; Lipstadt’s final admission that her lawyer’s strategy was wise, though it required her to put her own emotional interest in defending her claims aside. Having read much of the courtroom testimony (Richard Evans, Lying about Hitler; Robert Jan van Pelt’s, The Case for Auschwitz: Evidence from the Irving Trial, I’m amazed that the film is able to present so much of the complex testimony. The individual performances, above all that of Weisz, as the courageous but conscientiously conflicted Lipstadt, and Wilkinson as her late night Scotch-sipping but dedicated attorney, are excellent. The editing and cinematography serve the narrative at each moment. This is cinema as it should be. It’s sad when able reviewers fail to see or support that. I wouldn’t ordinarily place a post about a material acquisition among my entries, but this one is different. Two weeks ago, my 12-year old Volvo died. Or rather, it needed a $3,000 repair. So a decision had to be made. 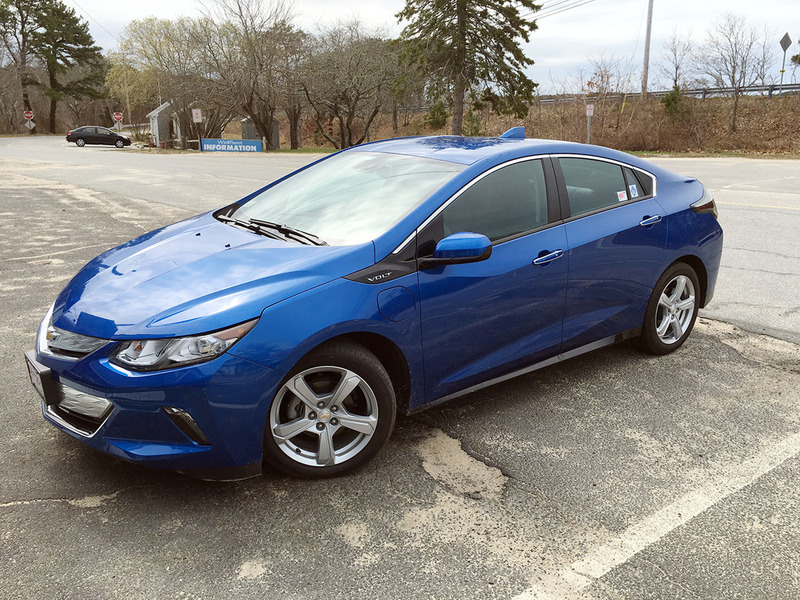 The result was my leasing a new 2016 Chevrolet Volt. So far I’m delighted with this decision. It has been nearly two weeks, and I haven’t bought a drop of gasoline. This new (NexGen) edition of the Volt gets 53 miles on a full charge. That’s enough for all of our daily driving. Hence, no gas is needed. However, if you drive beyond the 53 miles, its gasoline generator kicks in to power the electric motor and wheels. My Volt has had to do this only once. An oversight at the dealership left it with half a charge when I picked it up. So the generator had to turn on to get me all 40 miles home. This allowed me to see that the changeover to the generator is seamless—and noiseless. The last 15 miles home consumed less than ½ a gallon of the car’s 9.3 gallons of gas. So I still have plenty of range left. The newspapers are filled with stories about the new, lower-priced Tesla 3. But I am going to state here my belief that all-electric cars are NOT a significant part of the future. An electric car can have very high range. But what do you do when the range is exhausted? “Plug in,” some will say. But where do you plug in on I-95 at 11 PM? “Well, that’s just a problem right now,” others will reply. “Soon there will be many charging stations.” But imagine the day when there are as many such stations as there are gas pumps. There will still be a charging problem because at the fastest, electric cars require at least three hours to charge. Imagine cars sitting three hours at the current gas pumps? There won’t be any free outlets. Even if you’re lucky enough to find a free charger, how long can you sit in a McDonald’s? I believe that plug-in hybrids like the Volt ARE the future. Their range is unlimited. If I wished, I could get in my Volt right now and drive to California. My own Volt receives most of its power from the roof of my home. I’ve chosen not to install the 240 volt fast charge (3.5 hour) system and I’m using just a plain 110 volt outlet. With this, I need 12 hours to charge. 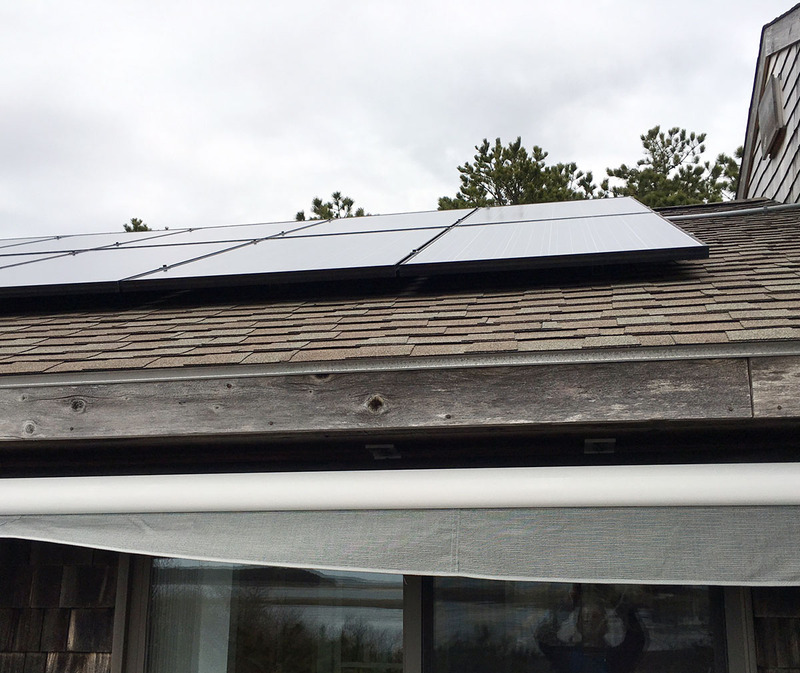 Here’s a snapshot of the 5,000 KW solar system we installed last year as part of the “Solarize Wellfleet” initiative. Thus, my local transport is powered by the sun. No gasoline; no carbon. I’ve owned a lot of cars in my life, and I can say that the Volt has very impressive finish and engineering. It handles and drives beautifully. Here’s a view of the instrument panel lit up underway. The green (part of a half circle) on the left is electric charge remaining; the blue on the right is unused gas. Over a half a century ago, the U.S. committed to putting a man on the moon in ten years, and we did so. Why can’t we commit right now to a similar 10-year program to put solar panels on every roof in the country and convert our cars, busses and trucks to electricity furnished by the sun? Like President Obama, I regard global climate change as our foremost social challenge today. 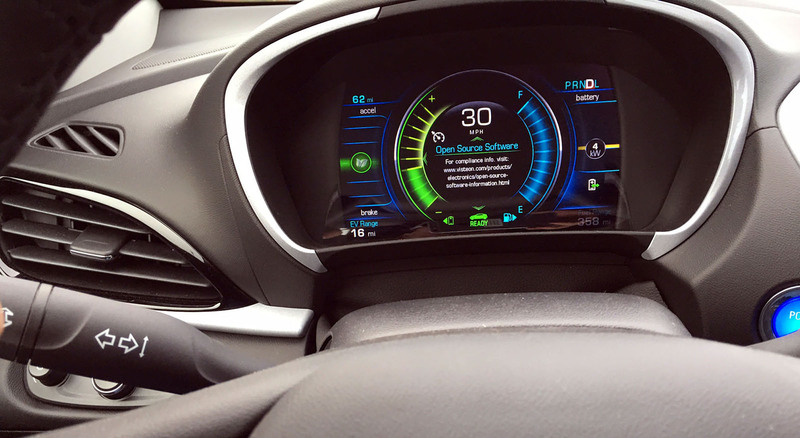 My experience with the Volt tells me that the technology is here. If we have the will we can meet this challenge.